Red Mountain Press, 9780990804772, 84pp. Poetry. Native American Studies. Women's Studies. Winner of the 2017 Northeastern Minnesota Book Award for Poetry. THE SKY WATCHED is a collection of poetry--some bilingual--that tells the collective story of a Minnesota Ojibwe family against the backdrop of history that begins with creation and continues to this day. 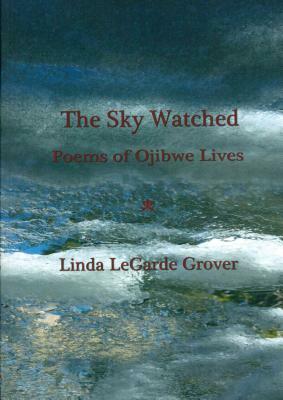 Through poetry, Linda LeGarde Grover contributes to the continuation of Ojibwe worldview and survival in the recounting of history and family stories. In THE SKY WATCHED, the voices of children, adults and elders, of Indian boarding school students and traditional tribal storytellers, and of the Manidoog, the unseen beings who surround our lives every day are given voice in a manifestation of the Ojibwe oral tradition teachings on the written page.